For the past week, I’ve been thinking a lot about the last four months. Peter and I moved to Illinois this past August after living in Connecticut for over five years. After I posted a Q&A update about what the past, present, and future held, several people told me that I seemed … unhappy. Always with surprise, as I’m typically a pretty cheerful person. I’ve always been proud of the fact that I like to explore and I can feel comfortable just about anywhere. Heck, I studied abroad in China at the age of 25 on a whim because the opportunity came up and I’d never been there. But, this change was different. As I wrote in the Q&A, I’ve never lived anywhere but the Northeast US. 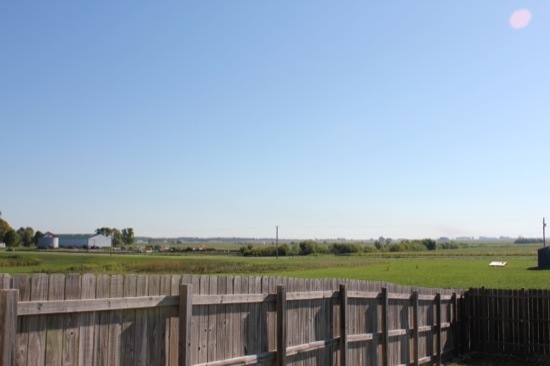 Despite being 27 when we moved, I was still dragging my foot in the land of my youth – the place where I first learned the world exists beyond myself and where pieces of my childhood are buried. Concerning more recent time, it meant I was leaving Peter’s parents (who we saw at least once a week and who are like my parents) and an established job. Yet, now after being a Midwesterner for several months, I feel happy. What’s changed? Well. 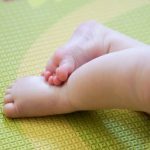 There are two stories I’d like to share with you. They’re not the only lovely things to happen over the course of the past four months, but they are indicative of a shift in my perception. The first story happened a few days after we moved in. 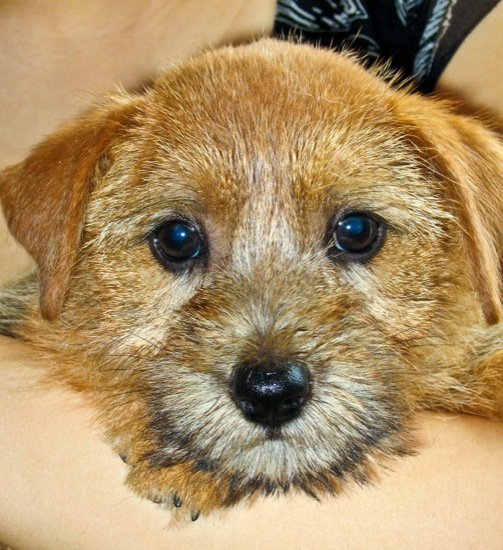 As you may know, I have a 12-pound terrier named Madeline (named after the great Madeleine L’Engle – don’t ask me about the spelling change). Not only is she a doggie glutton, but she’s also an escape artist. Over the course of the first week we lived here, she escaped from our fenced-in backyard three times, presumably to check out the rest of the neighborhood. The first and third times she escaped, I caught her in the act and rounded her up right away. The second time she escaped, I had turned away for about thirty seconds and missed her squeezing through a hole in the fence. Peter and I didn’t know she was gone until a neighbor knocked on the door to ask if it was our dog running around other people’s garages. Apparently, he had seen Maddie from his window, dashed downstairs, and run up and down the street trying to catch her. It took a few minutes of coaxing to bring her back to familiar territory. Let me tell you: the moment I had her back in my arms was such a relief, it was like a wave breaking over my head. We live near a reasonably busy street, and my hands go cold whenever I think about what might have happened if she had wandered a little too far. Since then, our soon-to-be veterinarian neighbor and his wife have become wonderful friends – in fact, we just had them over last night for an impromptu ham-and-salad dinner after blowing snow squashed our going out dinner plans. While there’s nothing extraordinary about this story, it marked the first occasion when I felt a little less homesick for my past life. The second story occurred over the course of the first month or so after we moved. I still hadn’t found work yet, I didn’t really know anyone, and feeling plugged into the community seemed impossible. Fortunately, Peter’s university department holds a lot of social events, including get-togethers every Friday evening. Despite feeling a bit blue (and when I’m blue, I tend to be hermit-like), I went to all of them. It was at one of them I met Jill, the wife of one of Peter’s colleagues who directs a local church choir and who is the new director of the award-winning chorus Amasong. Jill has tremendous talent and an infectious energy for all things music, and right away she recruited me to sing in the church choir. 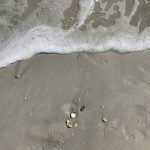 I hesitated, not because I don’t like to sing (I LOVE to sing – just ask my shower and the inside of my car), but because I’d never done something quite like this outside of an academic environment. In addition, I grew up in a non-religious household, and I worried what the other choir members would think of me. I needn’t have worried. Since the first choir practice in early September, I’ve looked forward to rehearsal every Wednesday evening and singing at service every Sunday. Some of it has to do with participating in something I enjoy, but much of it has to with the wonderful and welcoming group of which I’m now a member. And so, I realized the importance of something I’d never thought much about until I didn’t have it: community. It’s why some people stay in the same areas, in the same jobs, with the same people year after year. And there’s nothing that can replace it. During this holiday season, in this time of uncertainty and violence splashed across the news daily, spend a little extra time with family and friends. Where does the pumpkin roll fit in? 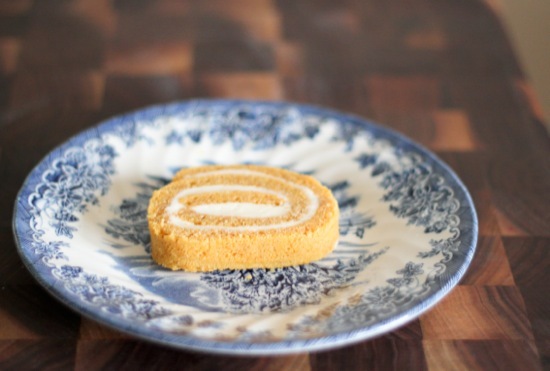 Until a few months ago, I’d never tasted pumpkin roll. Then our neighbors of saving-Maddie-fame brought us one and instantly I was smitten. 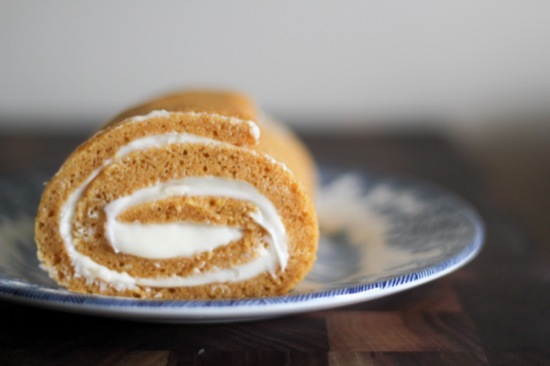 Spiced pumpkin cake with a sweet cream cheese filling? Yes, please! I enjoyed it so much, I made one for a “welcome baby” party for one of our choir members. And so the circle of community continues. Now, I share this sweet treat with you, dear reader. Because we’re all part of the same community, too. The next several pictures illustrate the rolling process in detail. Check out the recipe for a written description. 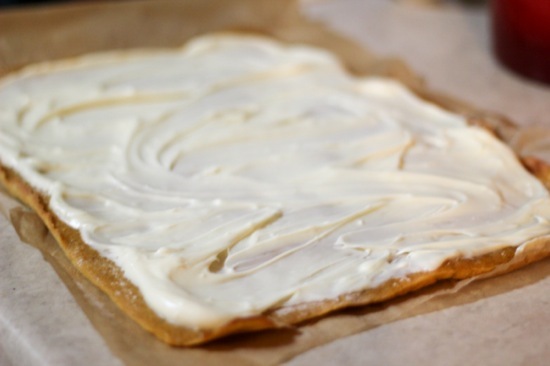 Preheat to 350 degrees F. Line a baking sheet with waxed paper and spray with cooking spray. In a large mixing bowl, mix eggs, sugar, pumpkin, and cinnamon. 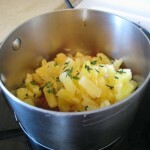 Add baking powder and salt, then gradually beat in flour. Spread onto baking sheet and bake for 15 minutes, or until set. Dust a plain tea towel with powdered sugar or flour. 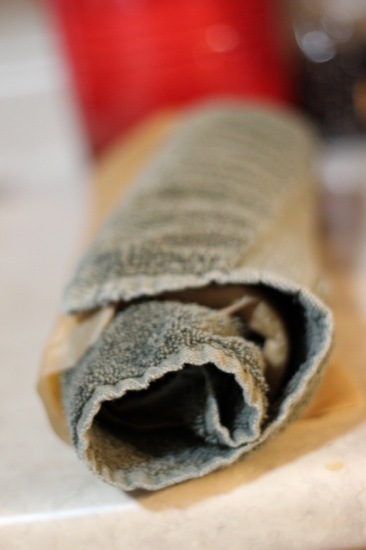 Roll wax paper, cake, and tea towel from short end into a log. Refrigerate for 30 minutes, or until completely cool. Just before taking the roll from the fridge, beat together butter, cream cheese, vanilla, and confectioner’s sugar until smooth. Carefully unroll the log and remove the waxed paper. 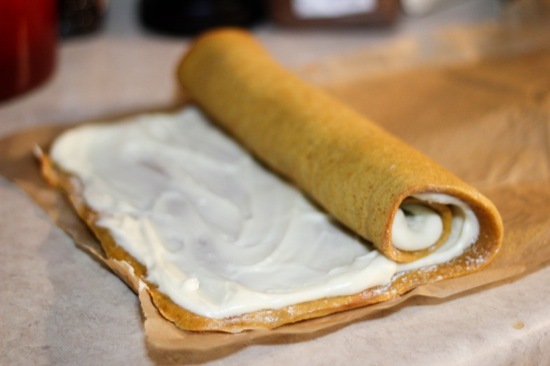 Spread the filling onto cake and roll up without the towel. Slice before serving, or refrigerate/freeze. Such a lovely post, Jessie! I’m so glad that you’re starting to feel at home and meeting wonderful people in your new community. I experienced similar feelings after moving here…it was hard letting go of the past, but I think with time it always gets easier, and then we can open ourselves up to new, amazing experiences and people…and foods haha 😉 Also, I’m so incredibly grateful for modern technology – online communication, texting, etc. makes it possible to stay in touch with dear friends who are far away and maintain meaningful relationships with them. Have a super cozy weekend, yay! I knew you could relate, Lucy! Thanks for your sweet words 🙂 Have a wonderful weekend, too! I had no clue you moved!!!! Why on earth would you move to IL when I moved awayyy??! Such horrible timing! I’m glad you were able to make the midwest feel like home! I’m also an east coast girl and it never was able to feel like home to me! All the in laws are in that area, so we definitely do head back semi often!! I’ll keep you posted on future trips!! 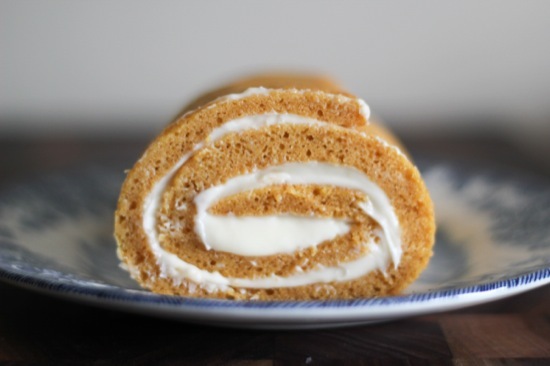 I love pumpkin rolls and can’t wait to have my aunt’s this year, it’s always amazing (similar to this one). I have never made my own. It looks….difficult. But worth it I’m sure! Jessie, I’m so happy you are starting to make friends in your new home. It all starts with one or two people as you have discovered. Having lived the same place my entire life, you would think I couldn’t relate very well, but I am a person who doesn’t make friends easily, so really value the ones I have! Christmas is a time to be with family, so I hope you can be with some of your friends and family. I am so glad that you are liking the new place. Moving always is very hard, everything is so unfamiliar and esp during holidays. 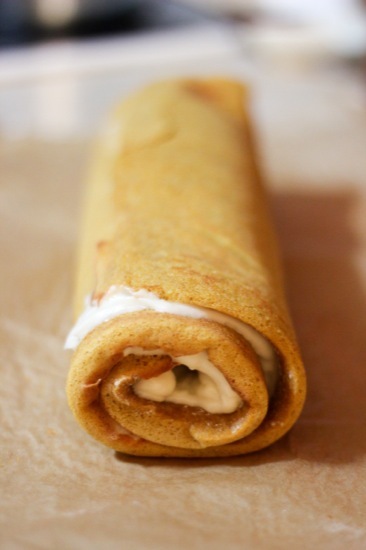 the pumpkin roll looks sooo good! I want a slice right now! oh wow! 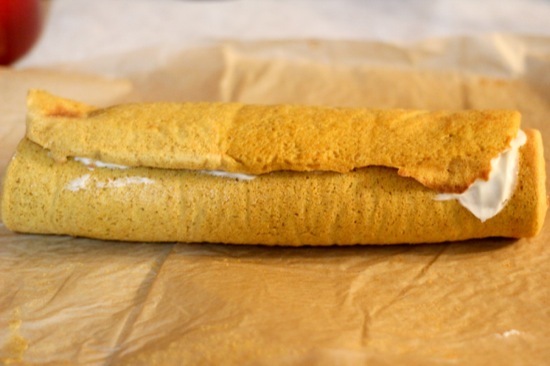 that pumpkin roll looks incredible!